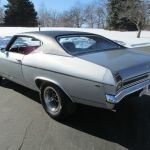 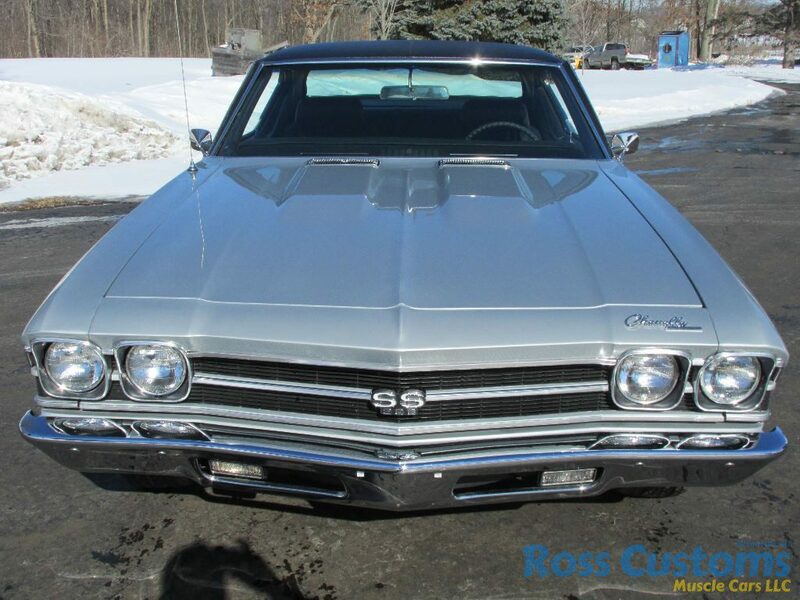 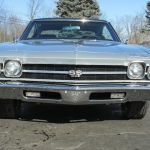 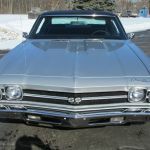 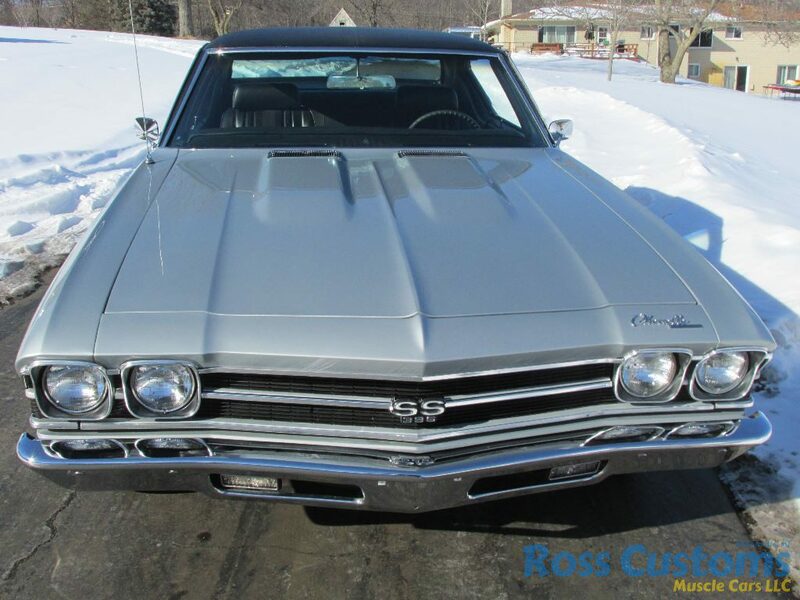 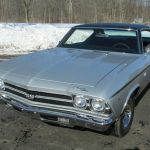 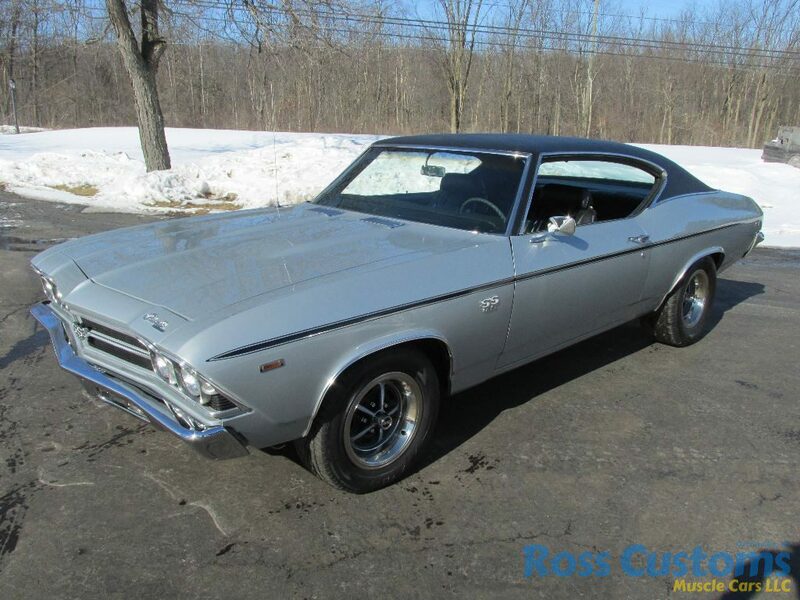 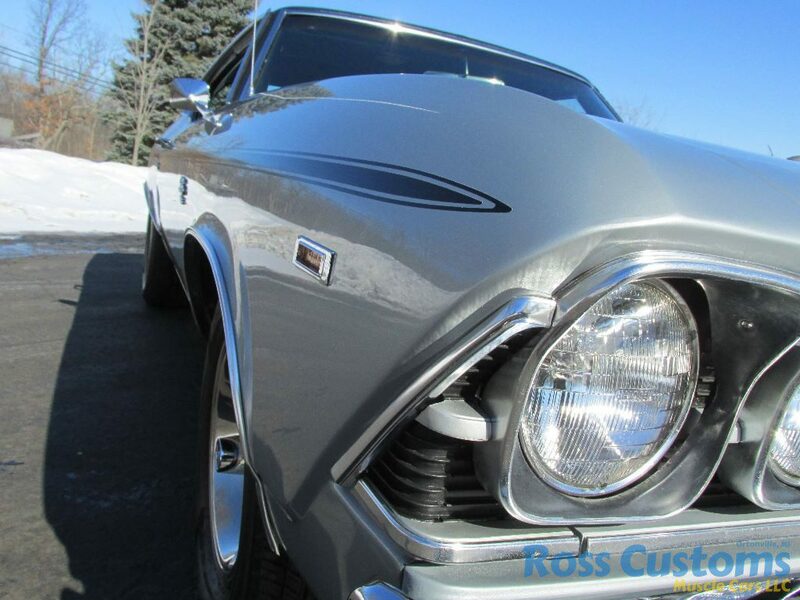 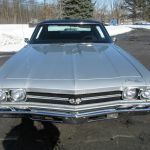 This is a gorgeous 69 Chevelle SS 396 with many options & upgrades, recent body up restoration was repainted its original Cortez Silver base coat clear coat wet sanded and wheeled slick as glass with factory black side strip, new vinyl top, all new weather stripping & felts, new windshield all other factory tinted glass in excellent shape, new front bumper, new grill assembly, new emblems, new wheel well trim, new door handles, new mirrors all other chrome & stainless is original and in excellent condition. 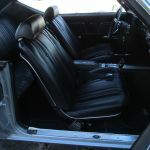 Factory black bucket seat & console interior, factory tach & gauges, new dash bezel, new dash pad, 3 spoke sport wheel, also a trio of gauges that are mechanical nicely mounted under dash which are more accurate then the factory gauges, new headliner, new seat covers, new carpet, new sill plates, door panels look new and custom floor mats. 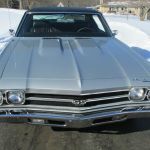 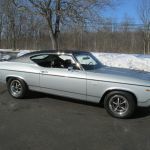 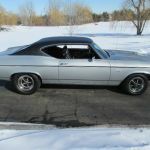 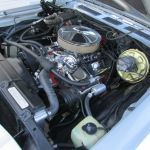 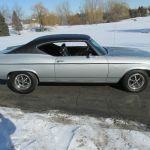 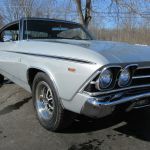 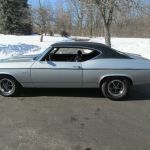 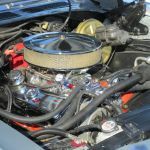 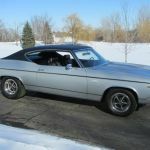 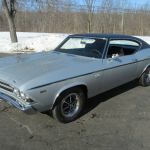 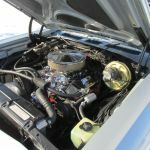 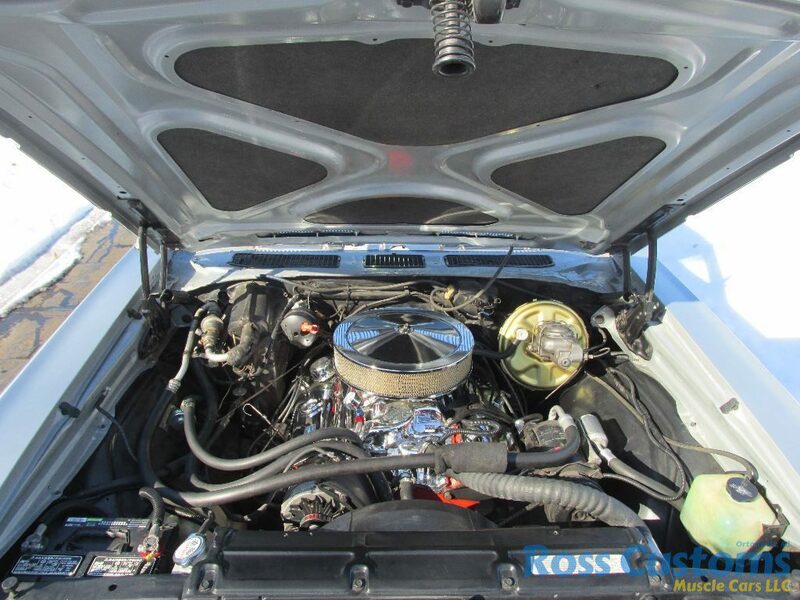 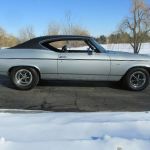 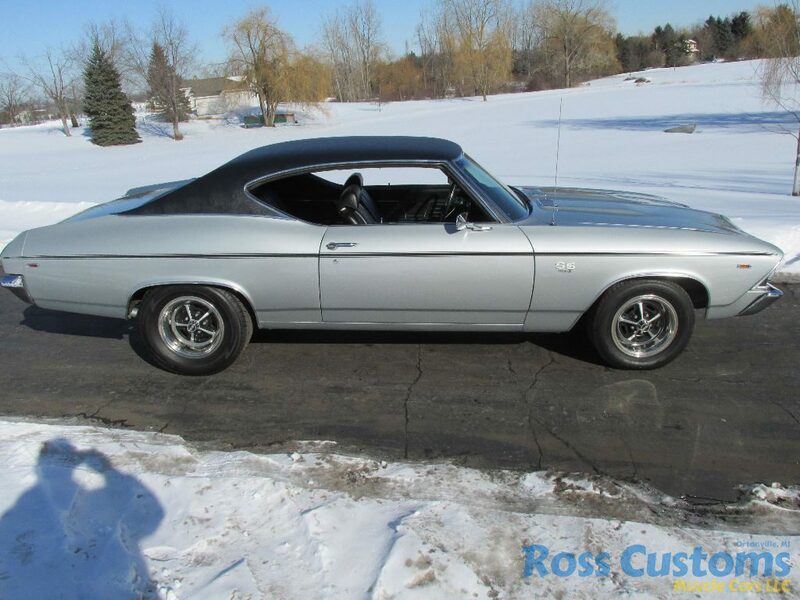 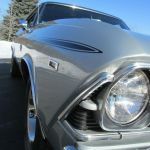 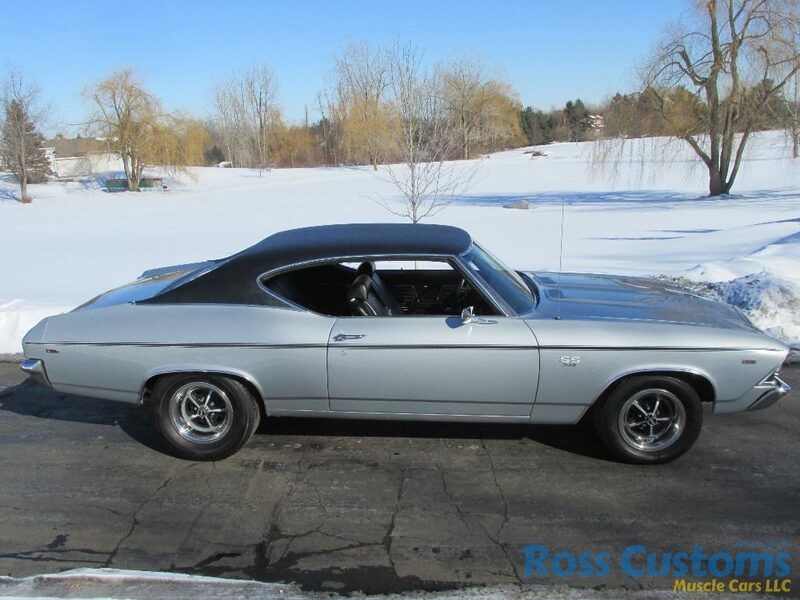 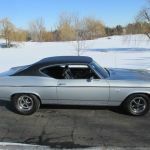 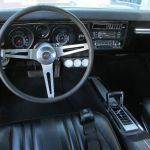 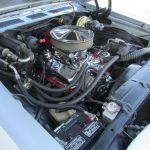 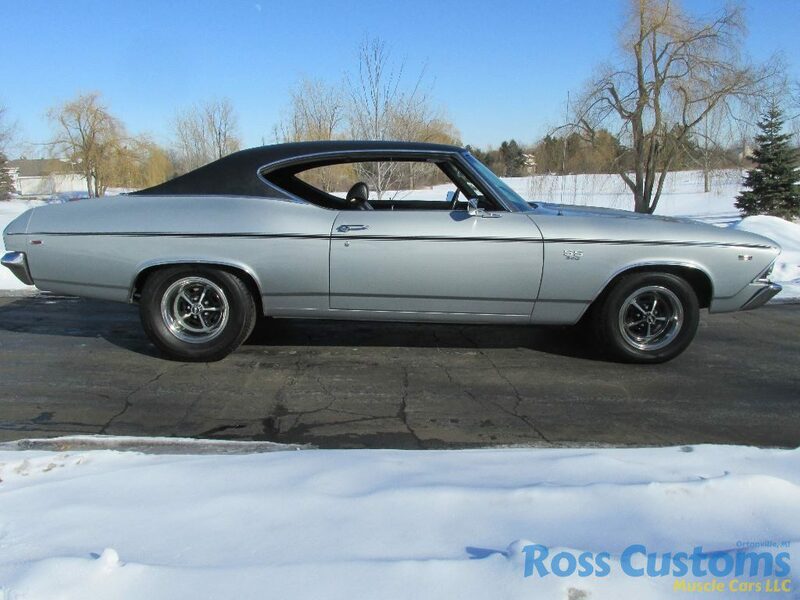 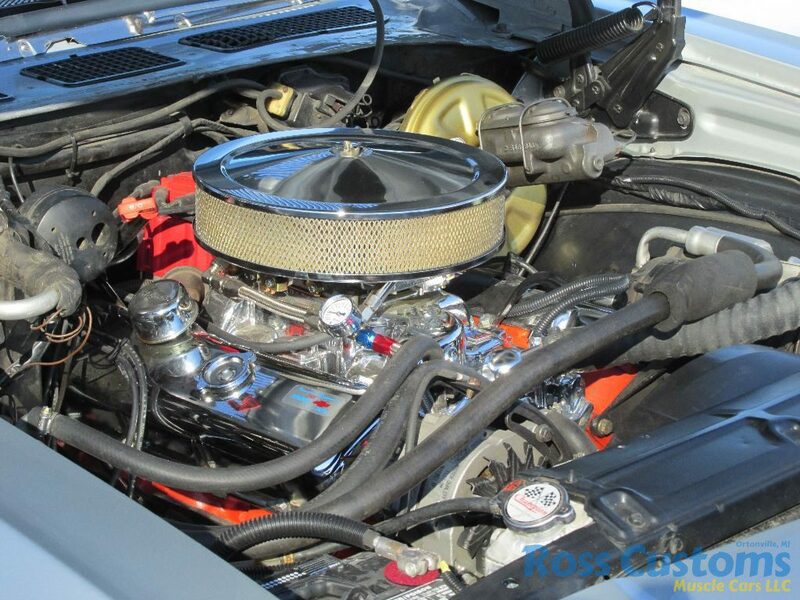 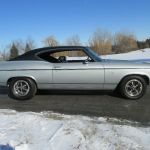 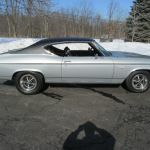 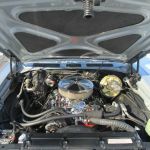 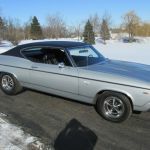 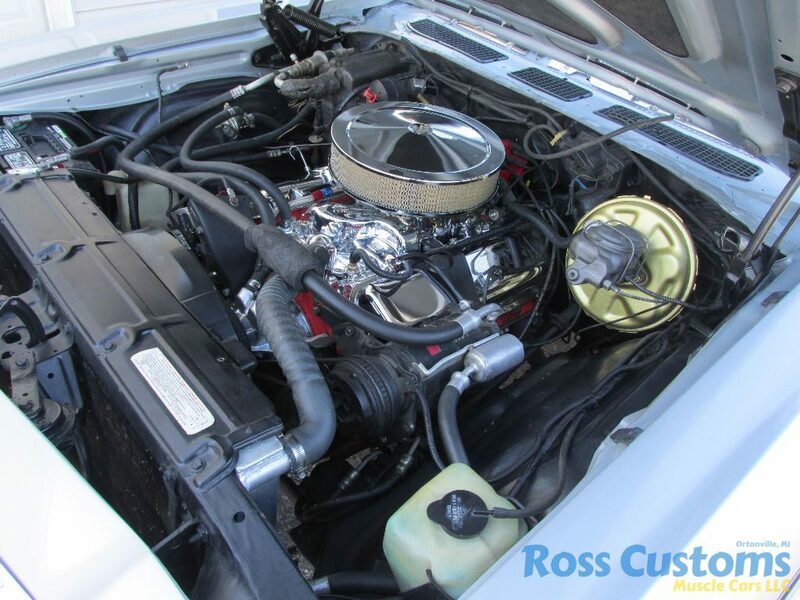 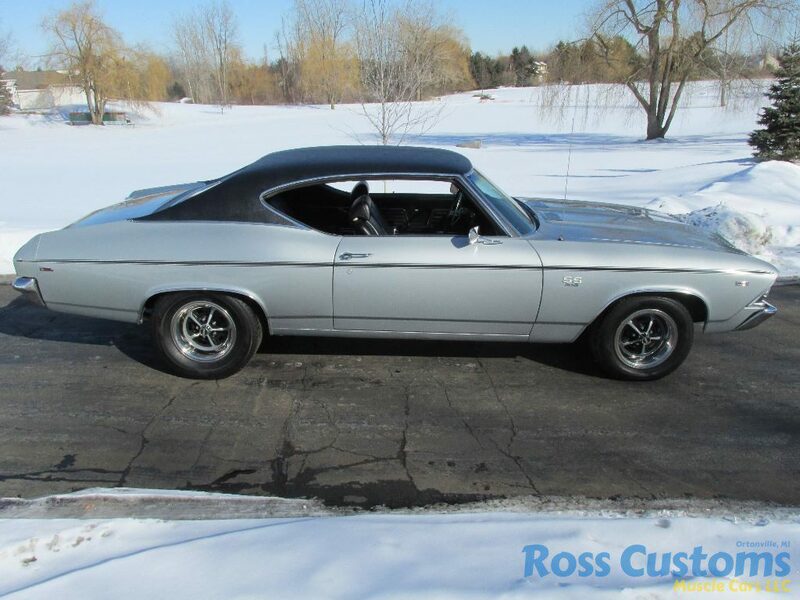 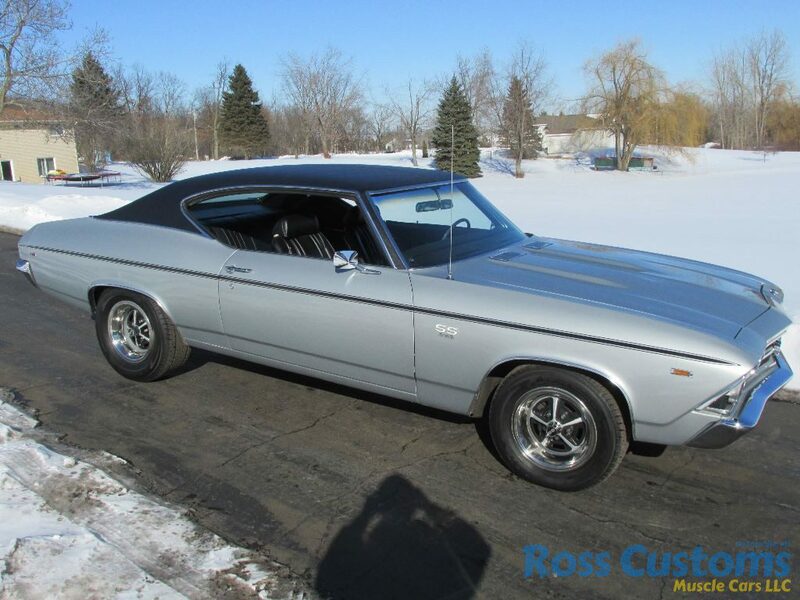 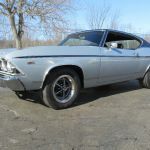 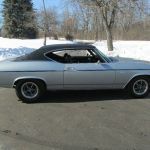 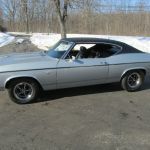 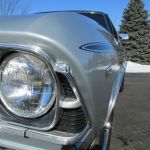 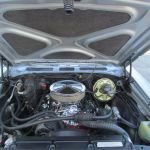 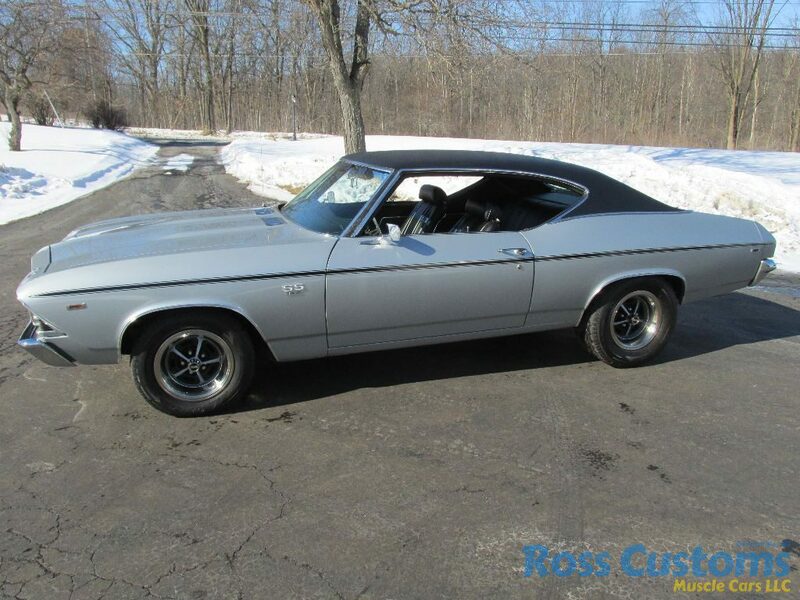 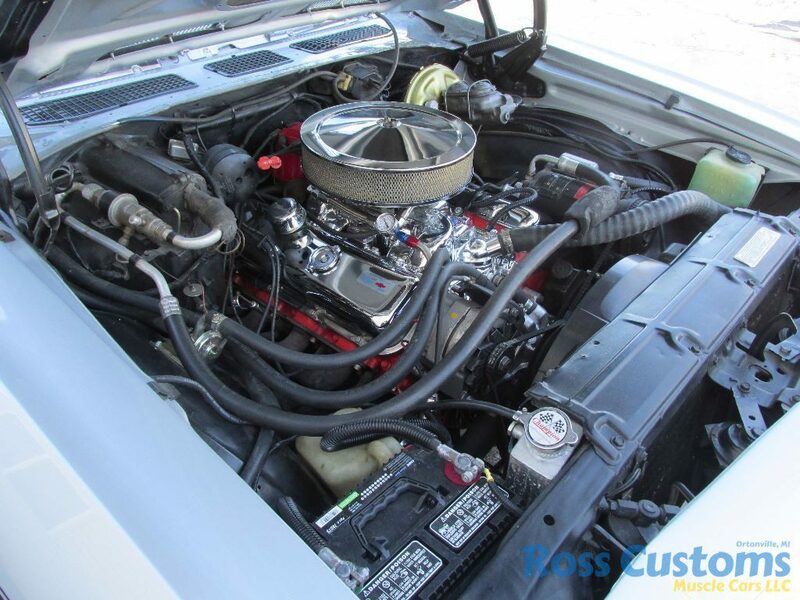 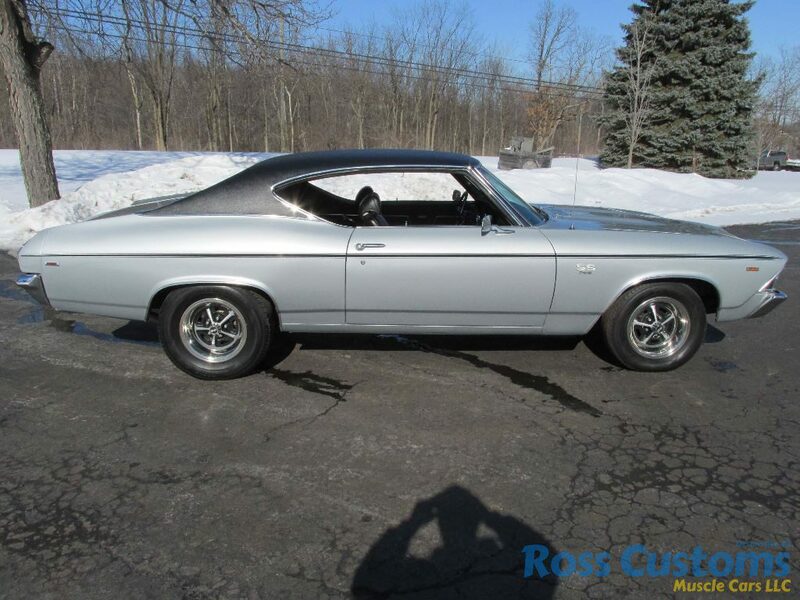 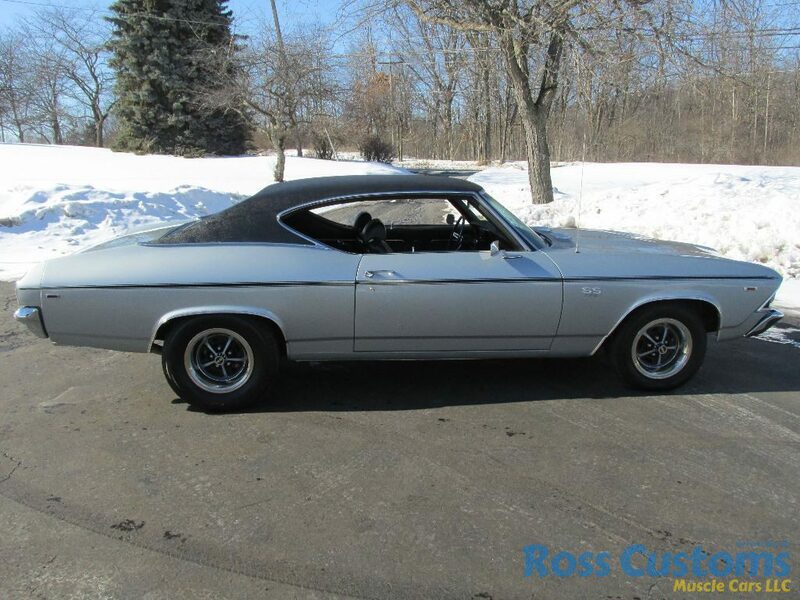 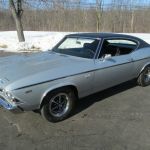 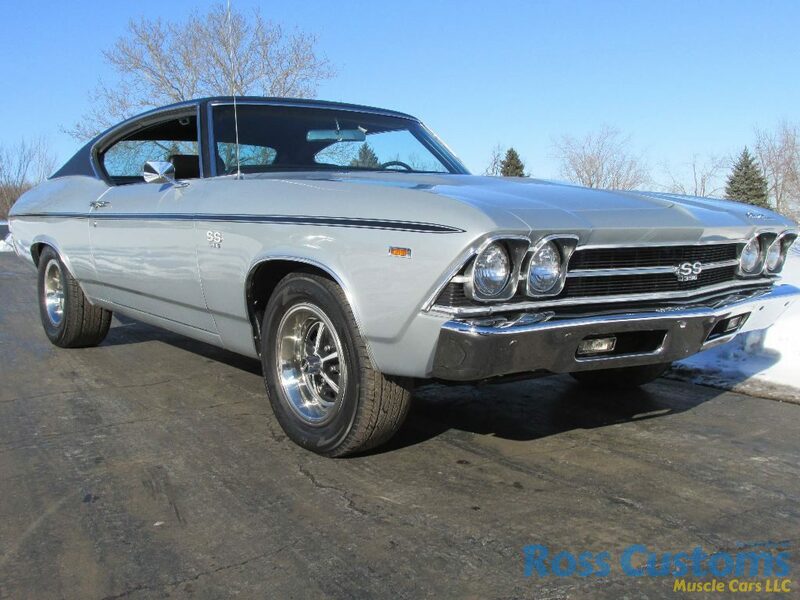 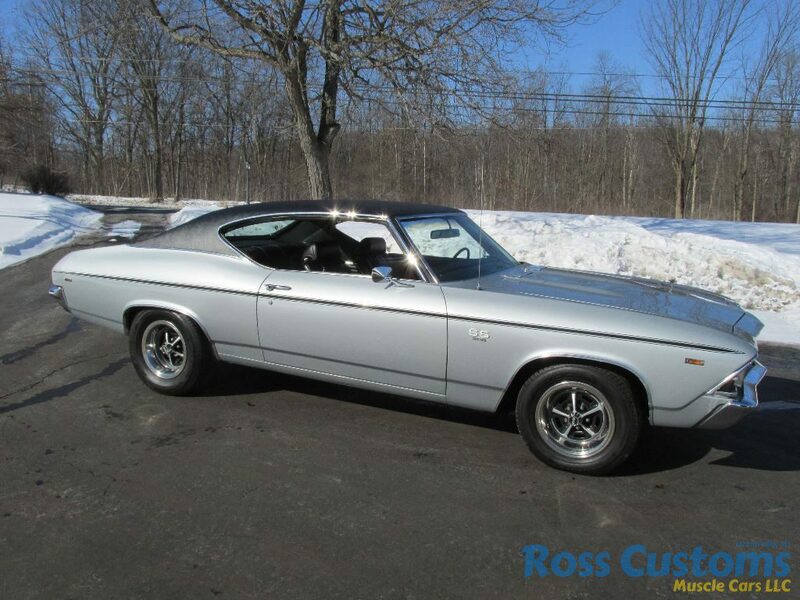 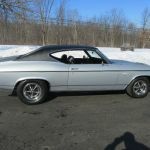 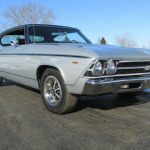 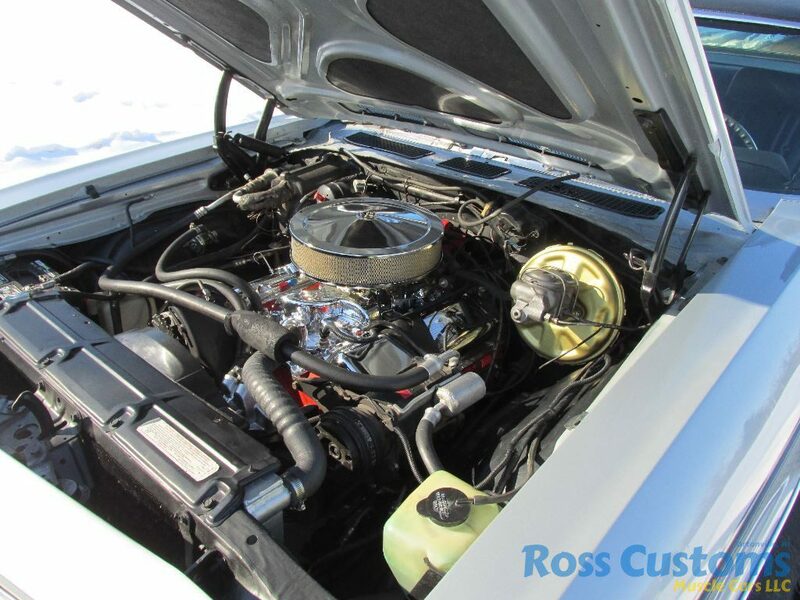 Motor is a rebuilt “67” 396 with steel crank H-beam rods 30 over with 10 1/2 compression, makes approximately 425 HP, 049 heads which have been re-worked with harden seats & bronze guides, has new Edelbrock durashine intake, Holley carb, chrome breather & valve covers, factory “Ice Cold” A/C, new fuel pump, new water pump, aluminum radiator, factory power disc brakes also updated with rear wheel disc brakes for 4 corner disc brakes, has a 700 R4 over drive trans with 2800 converter, new drive shaft, 12 bolt posi rear end rebuilt with new 373 gear, Auburn posi and disc brakes, rear end has new bushings, all new front suspension-tie rods, ball joints & bushings, headers with new 2 1/2 Flowmaster exhaust out back with correction bel tips. 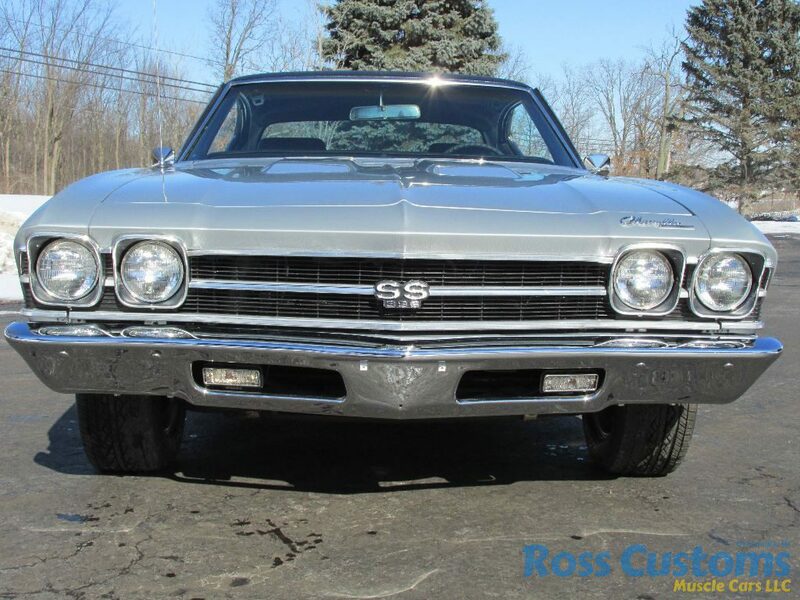 Factory style SS wheels 15×7 front 15×8 rear with Yokohama 235/60 front 275/60 rear. 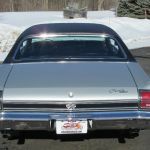 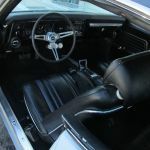 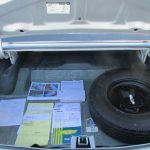 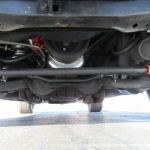 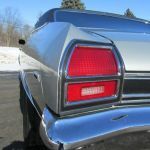 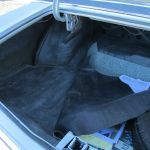 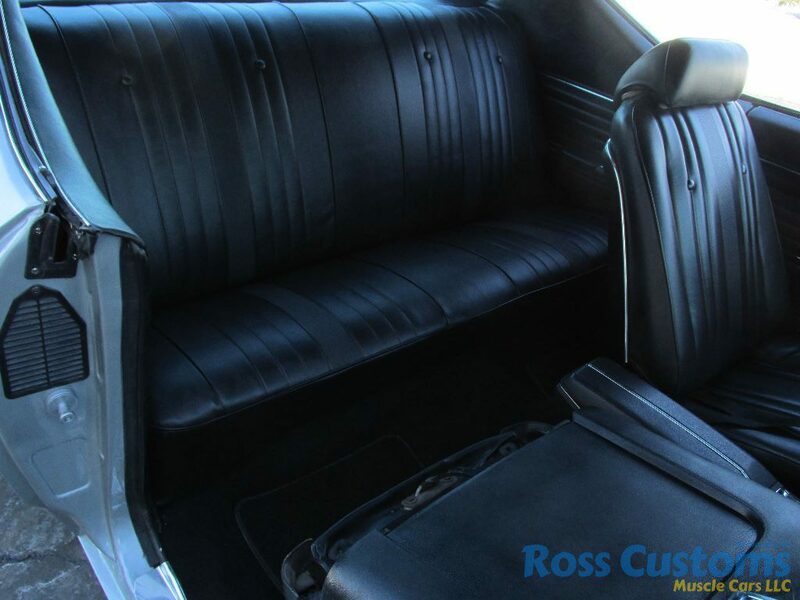 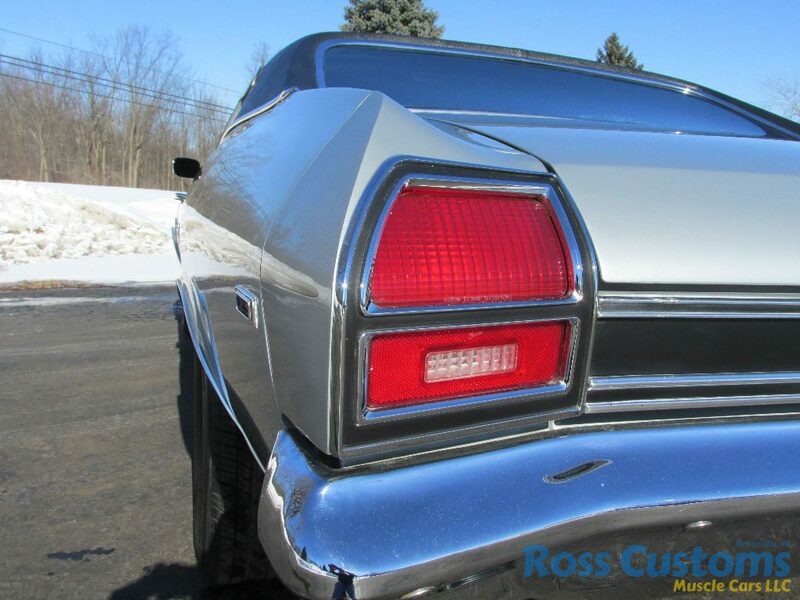 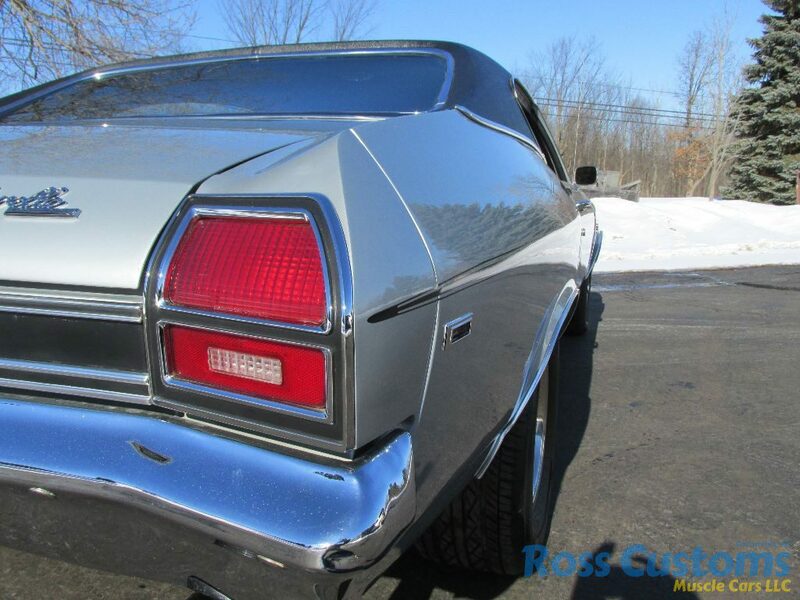 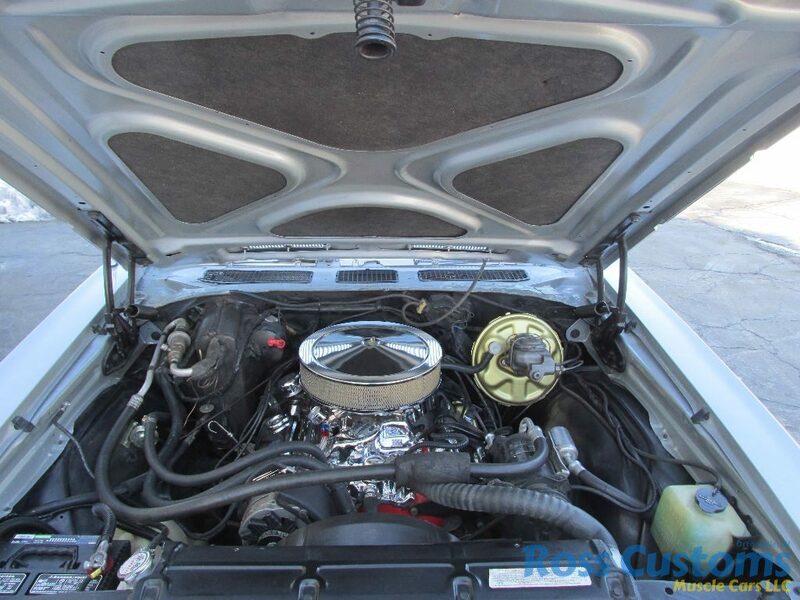 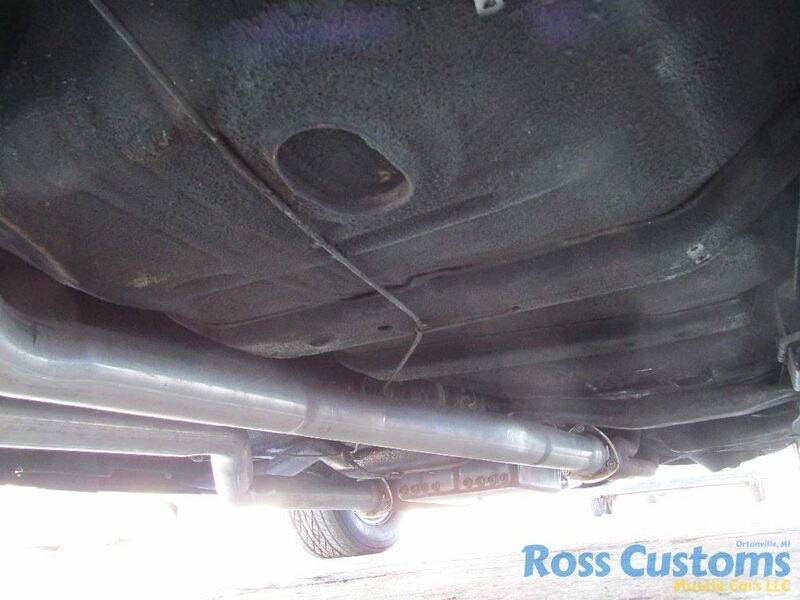 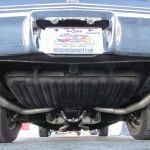 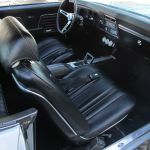 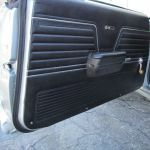 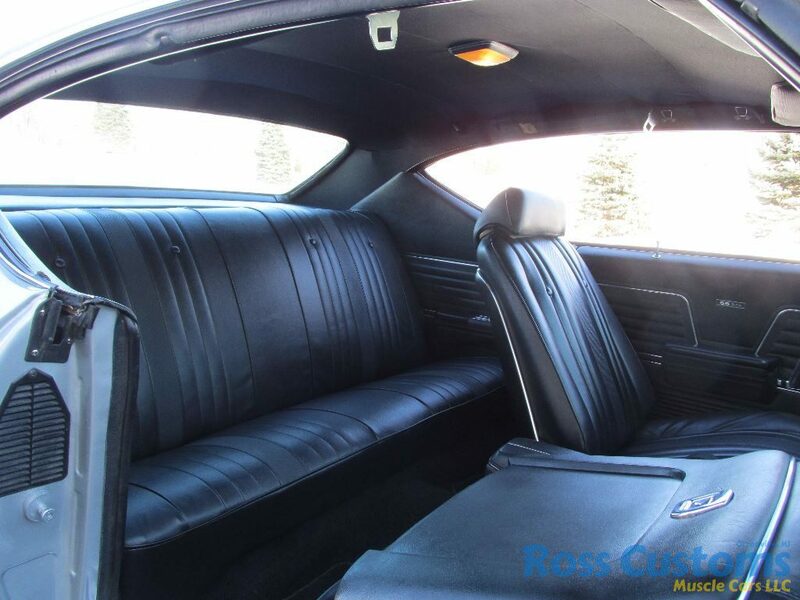 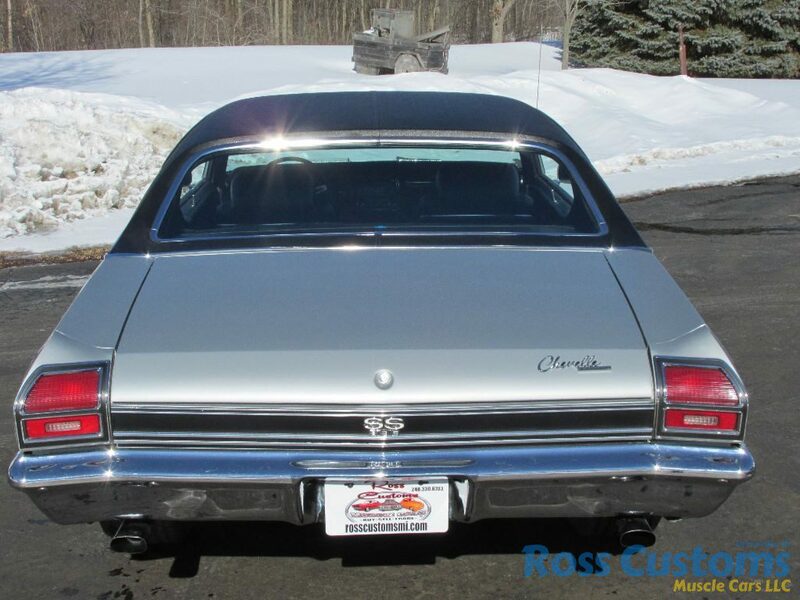 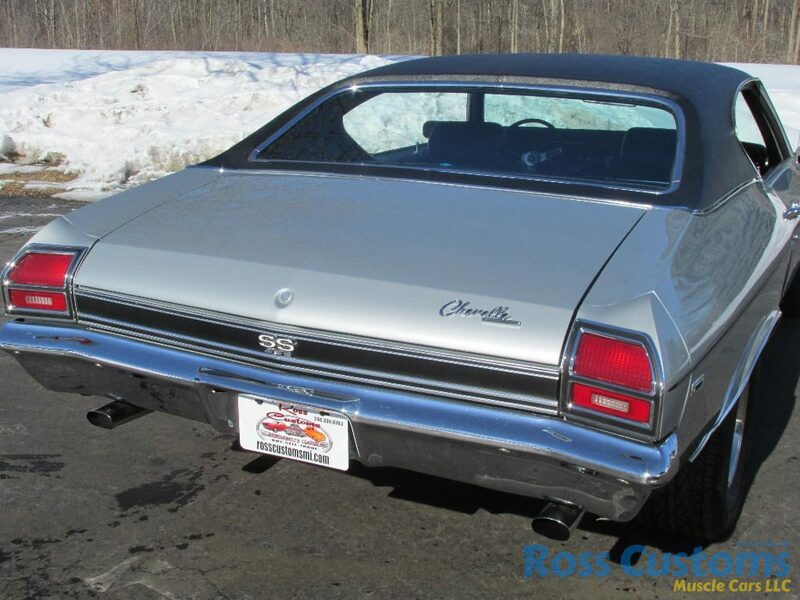 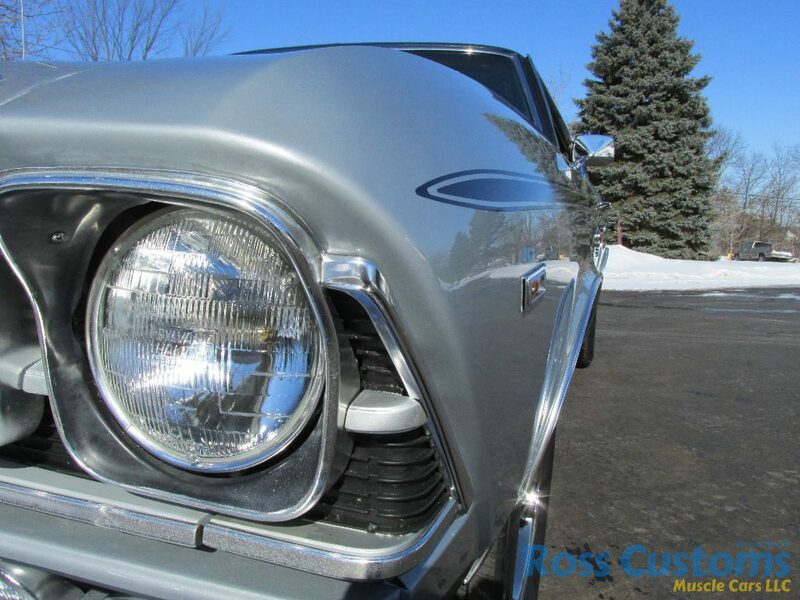 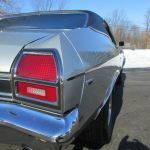 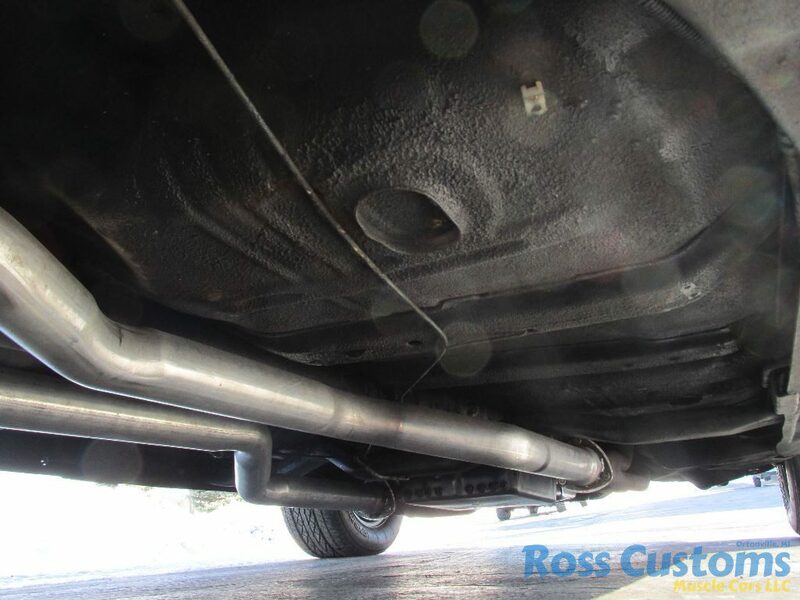 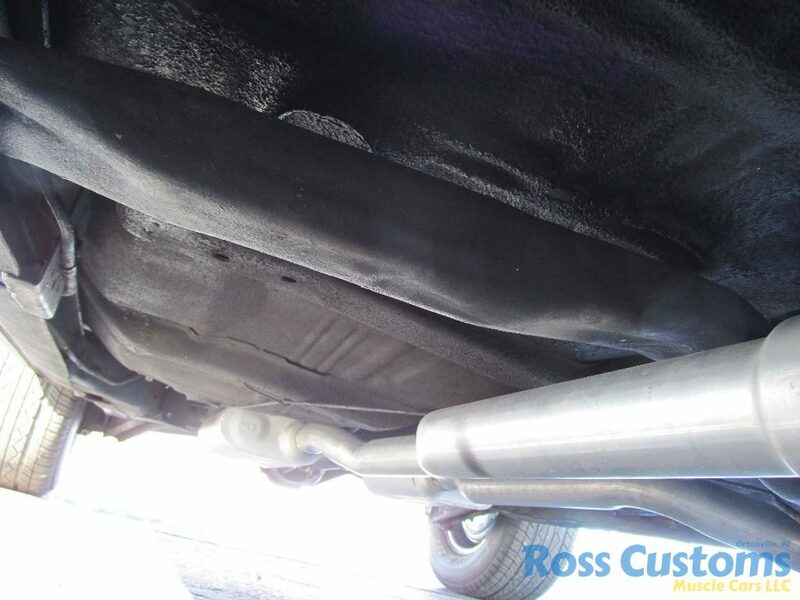 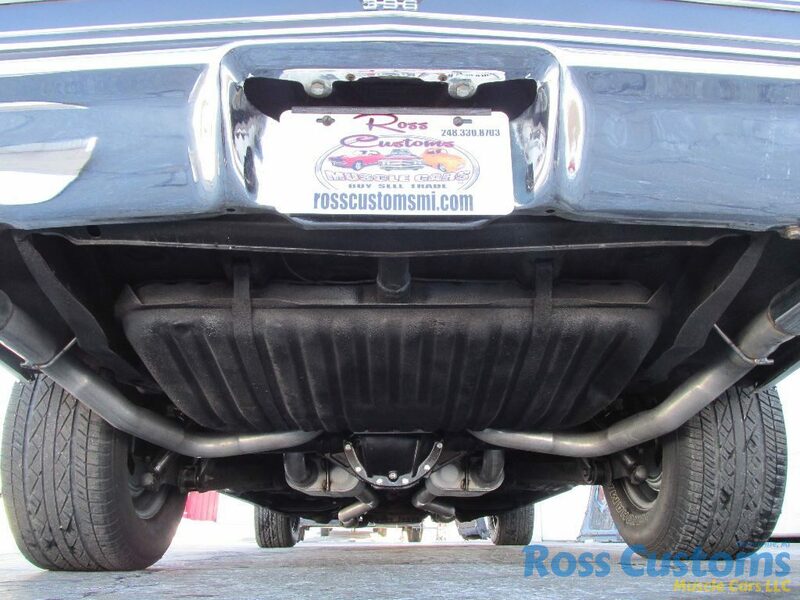 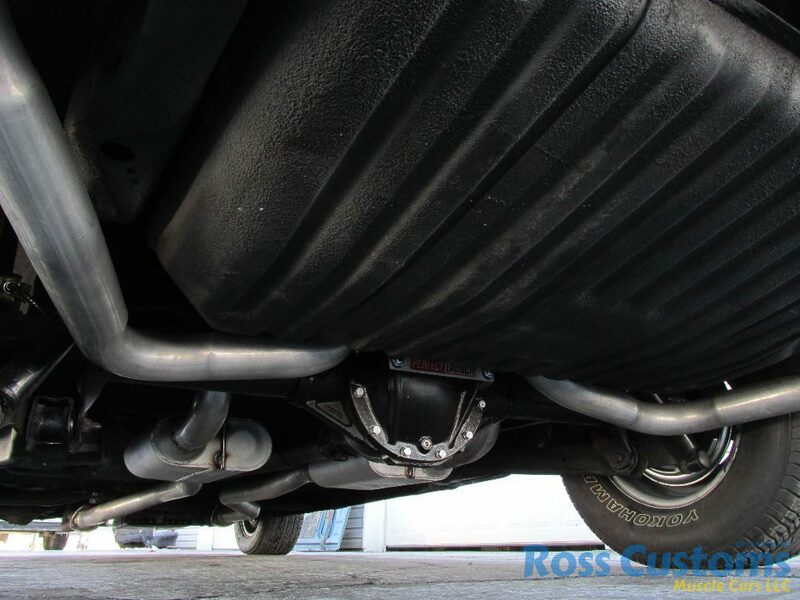 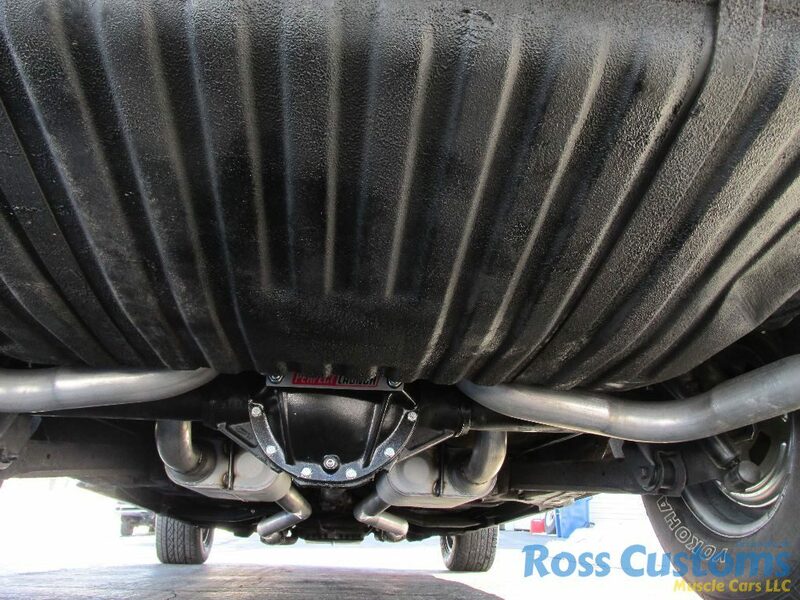 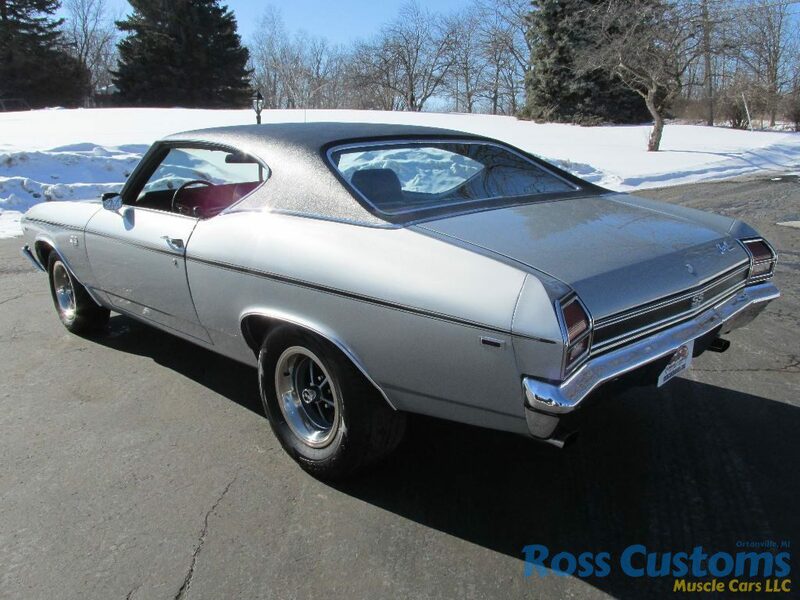 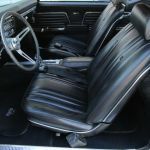 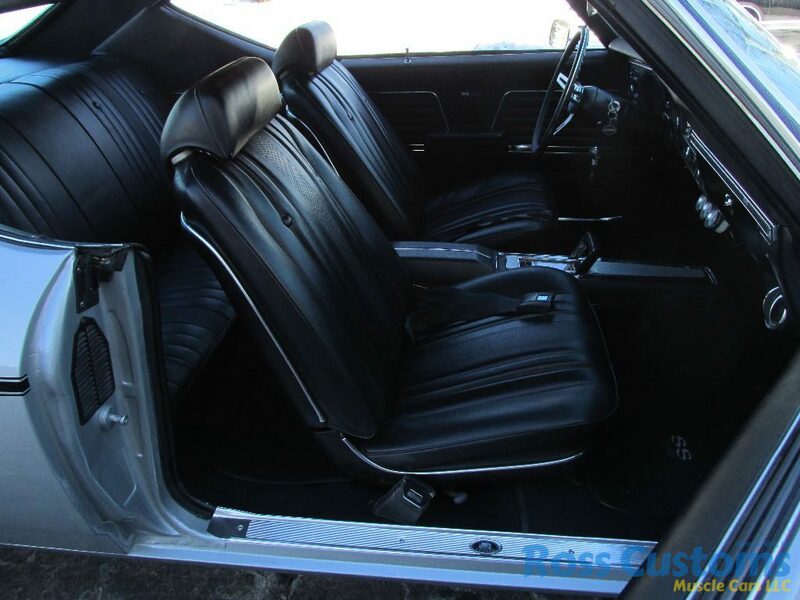 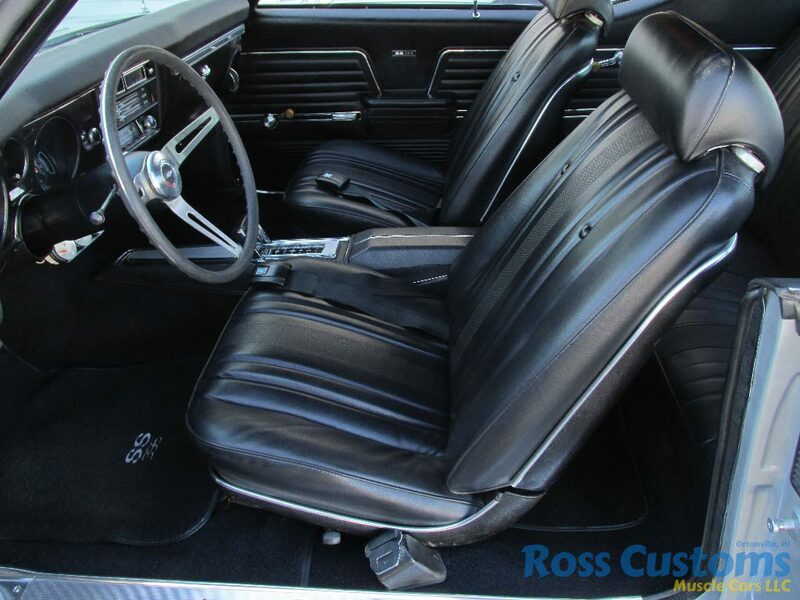 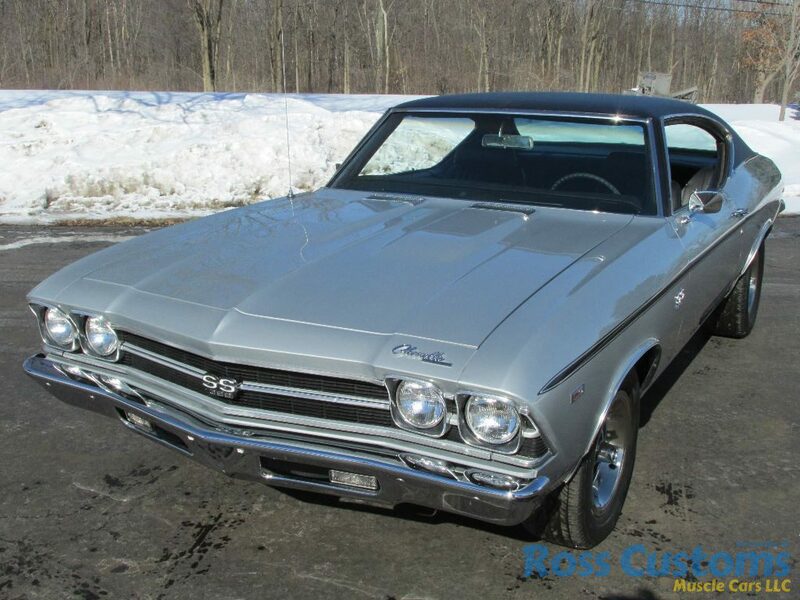 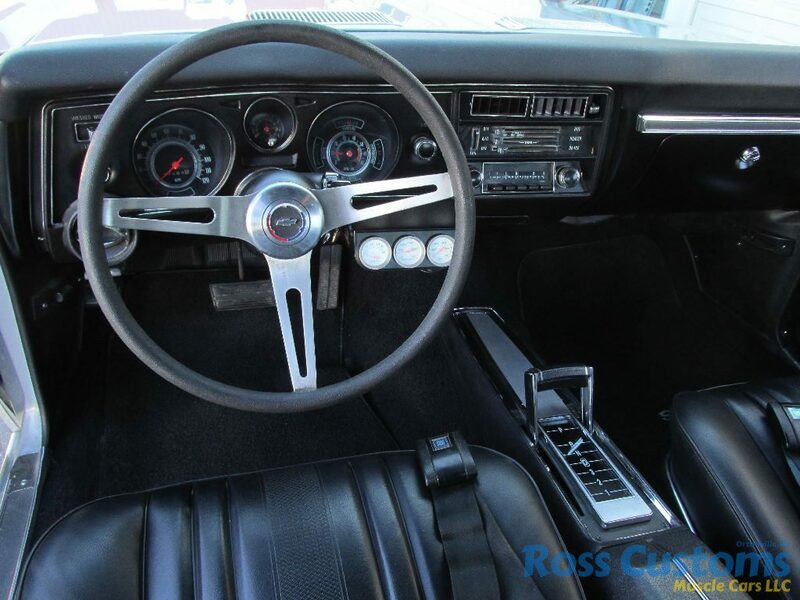 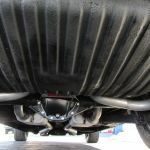 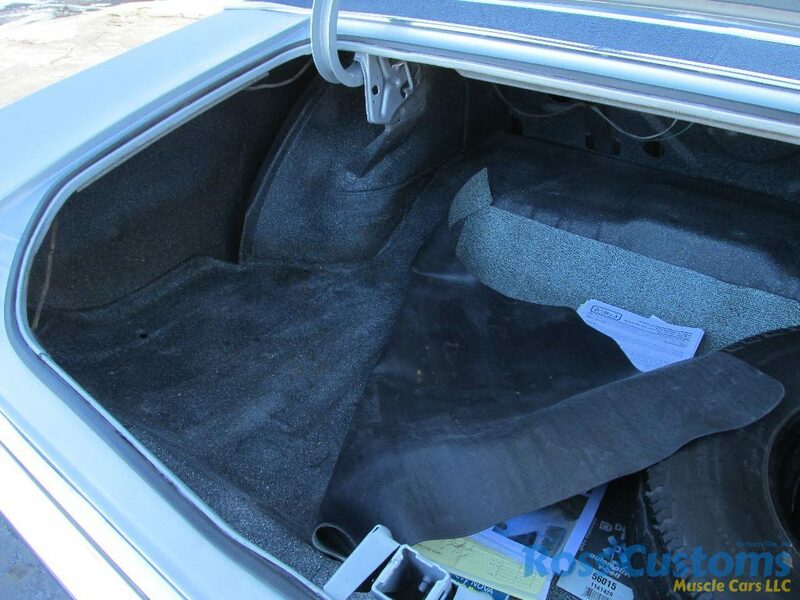 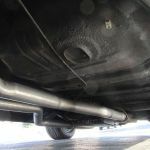 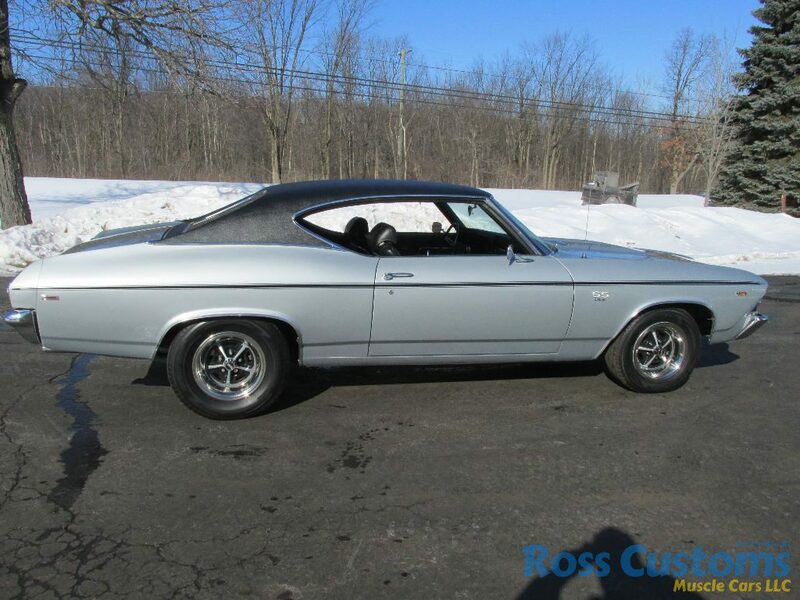 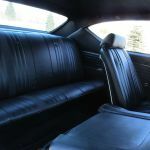 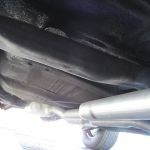 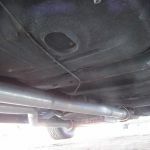 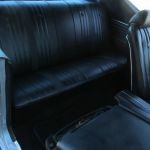 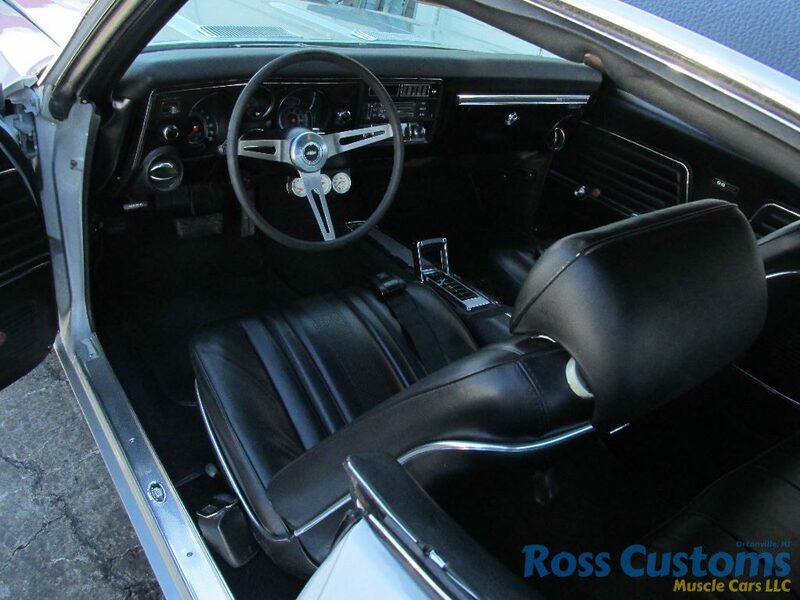 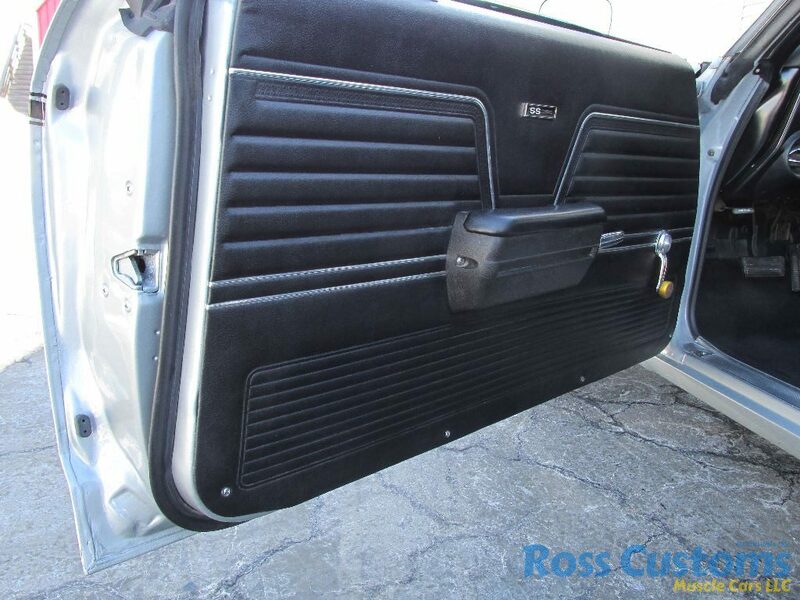 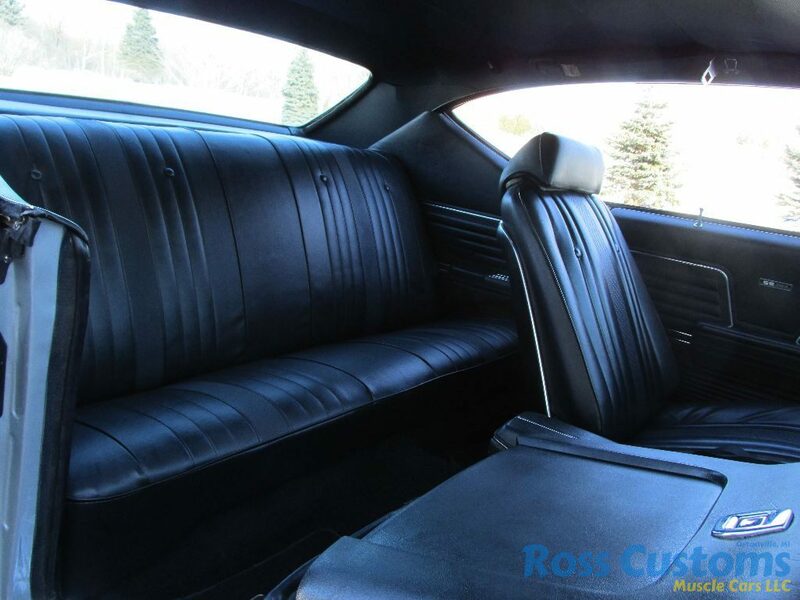 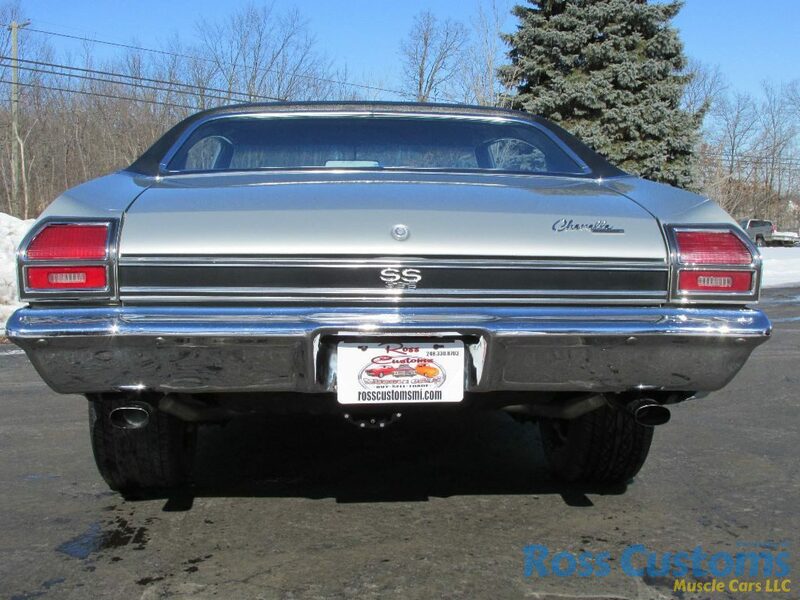 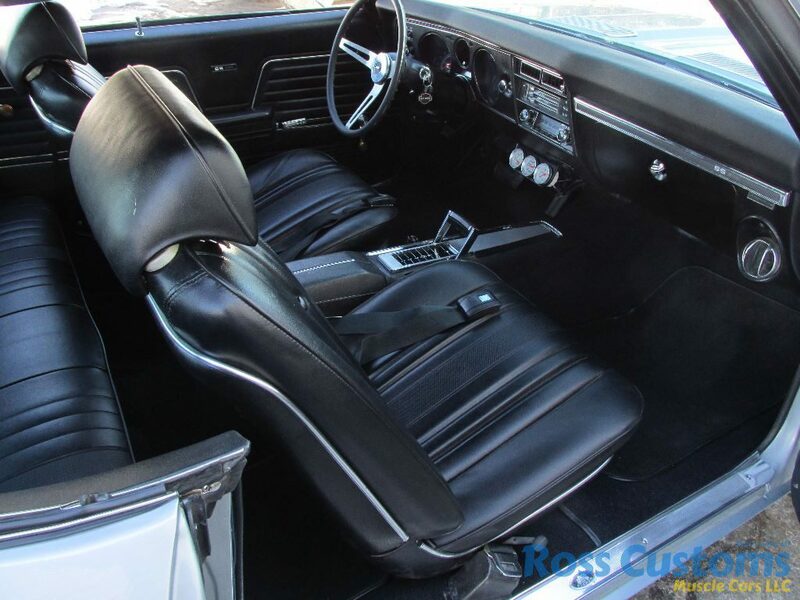 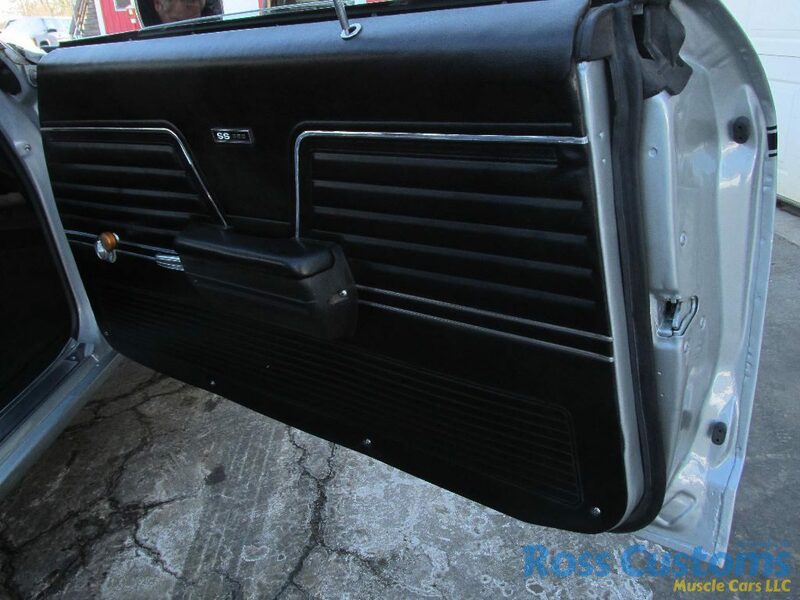 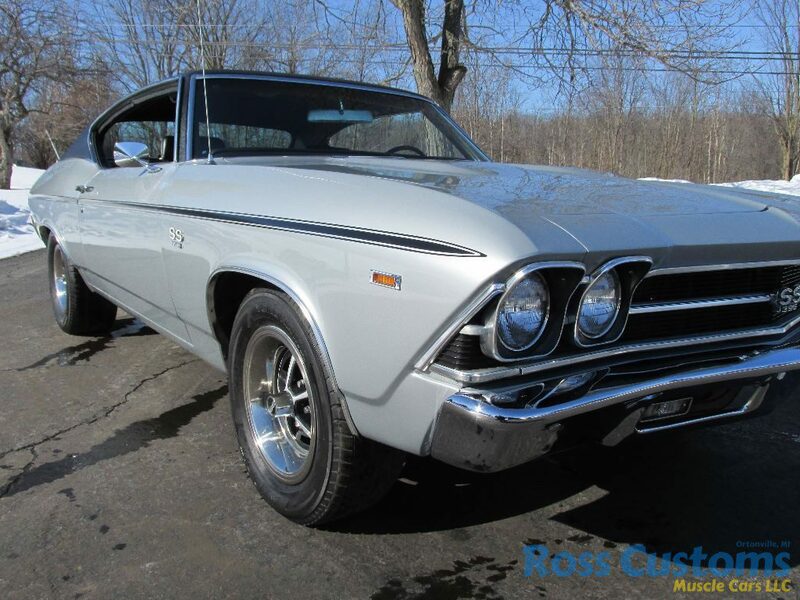 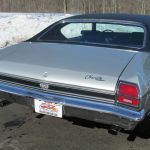 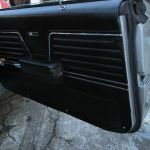 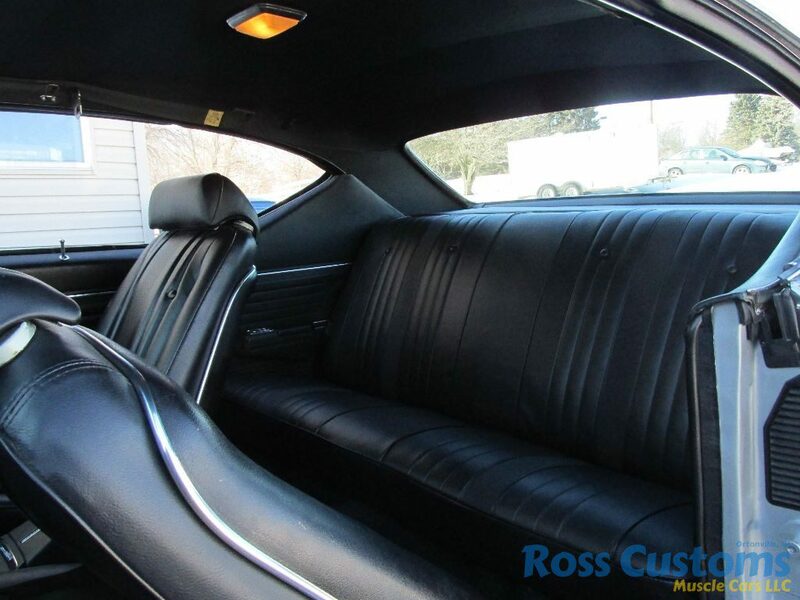 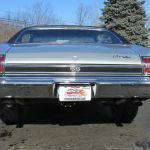 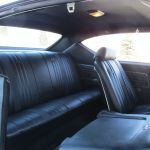 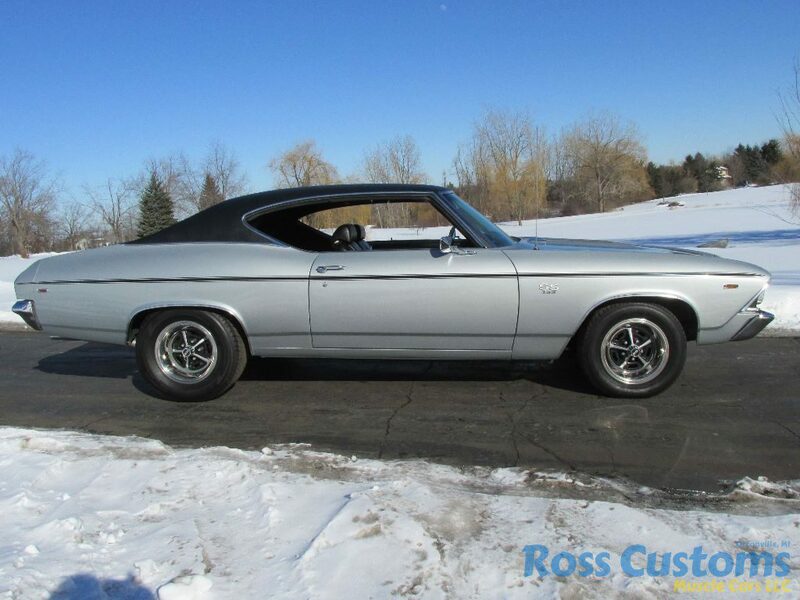 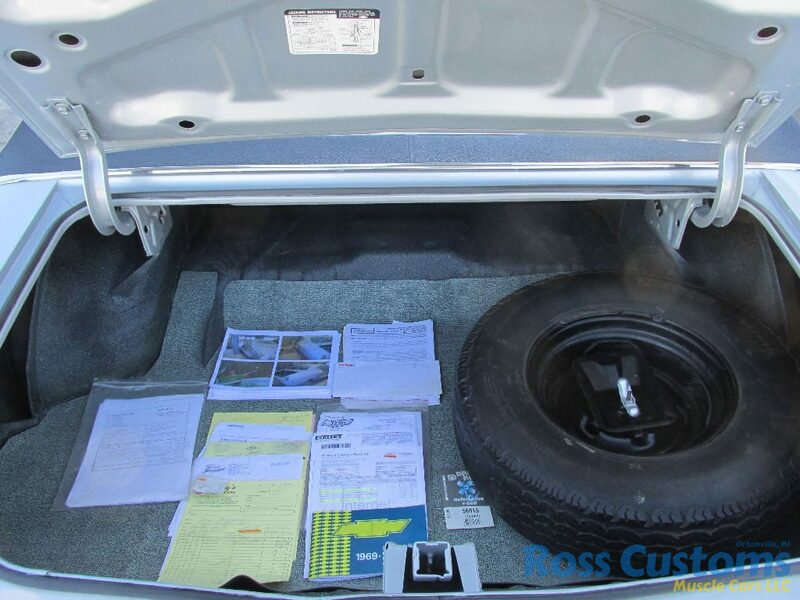 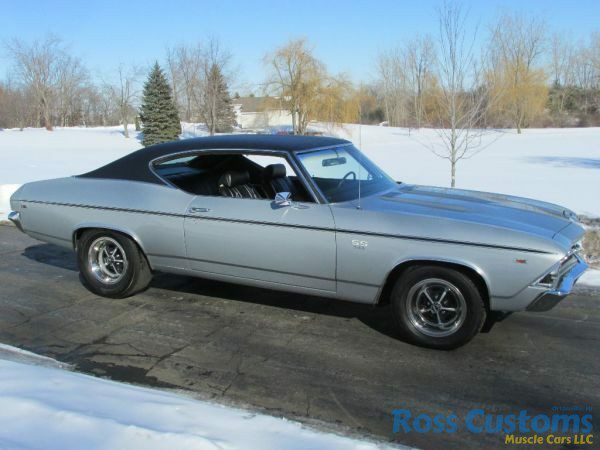 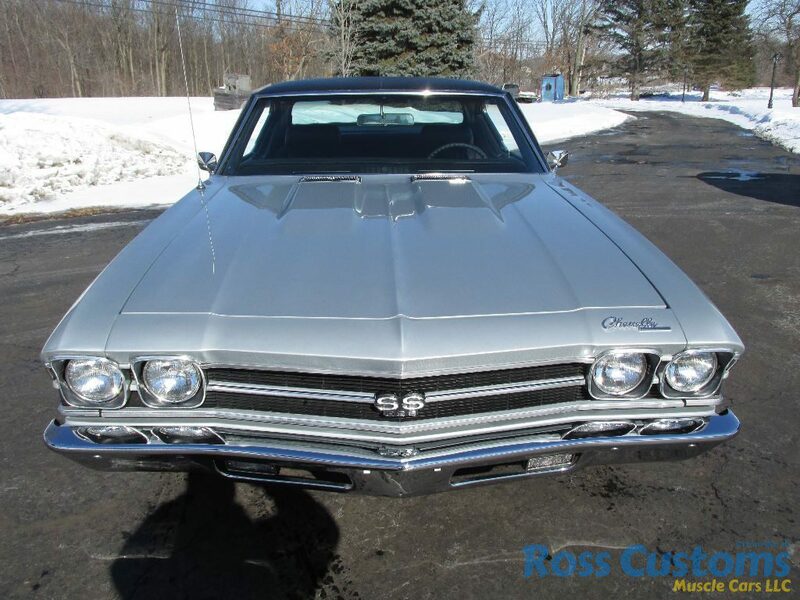 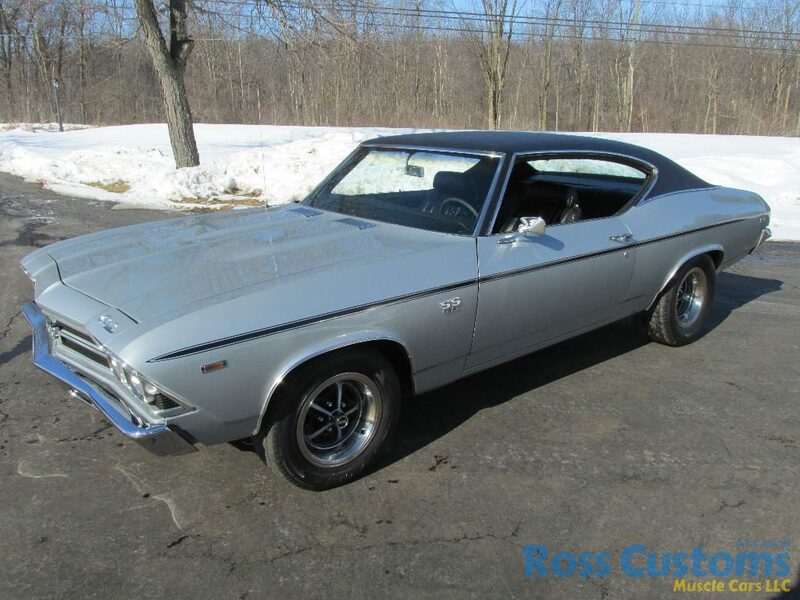 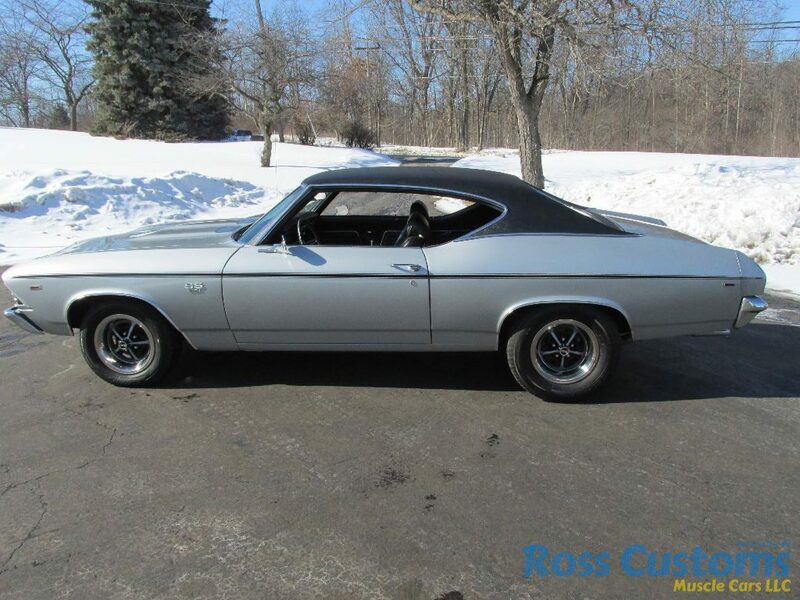 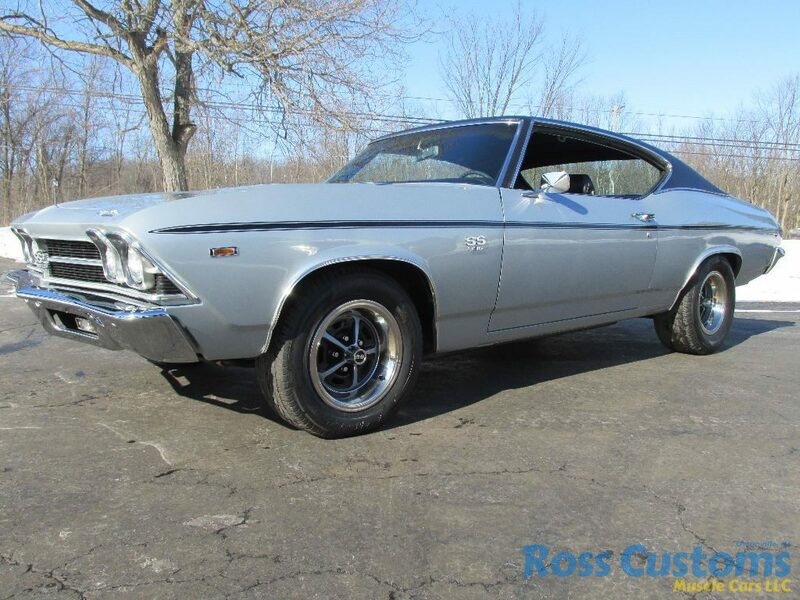 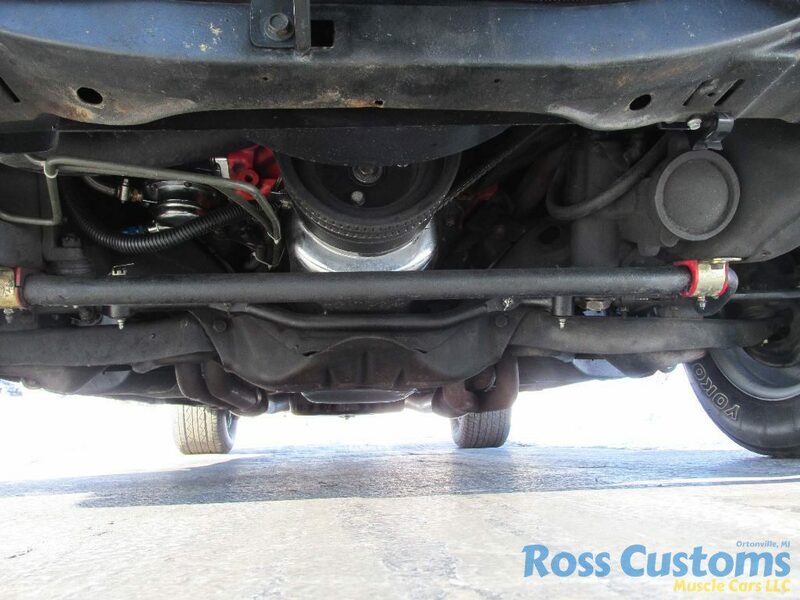 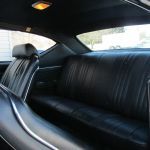 Retains all original body & floor pans with exception of right rear quarter.